The Global Pogrom has taken lives, legitimized violence, and spread fear among Jews across Europe and beyond. But there is a great deal that can be done to roll it back. The worldwide eruption of anti-Semitism and anti-Semitic violence that is now over a decade old—and which I described as a Global Pogrom in a previous article—reached a peak during last summer’s Gaza war and the subsequent series of terror attacks in Paris; but it shows no sign of dissipating. 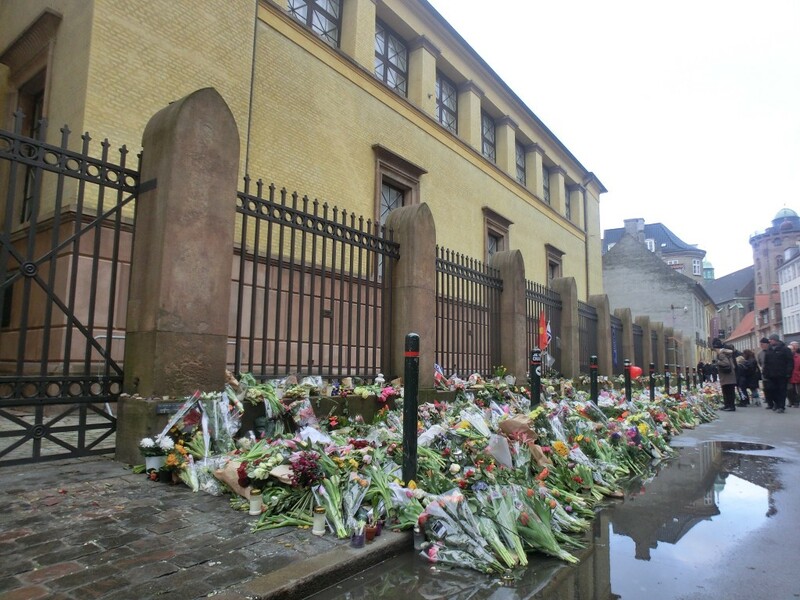 In Copenhagen, yet another attack on a group of artists who offended the delicate sensibilities of murderous fanatics was matched with yet another attack on a Jewish target—this time a synagogue in which a bat mitzvah was underway—leaving a volunteer security guard dead. It was later revealed that, unsurprisingly to those of us who have followed the phenomenon for any length of time, the Danish authorities had refused to provide enhanced security for the site. Meanwhile, Jewish life across the Continent continued under a state of siege, with enhanced security thankfully provided in some countries, while Jewish leaders in others were left demanding more to little response. 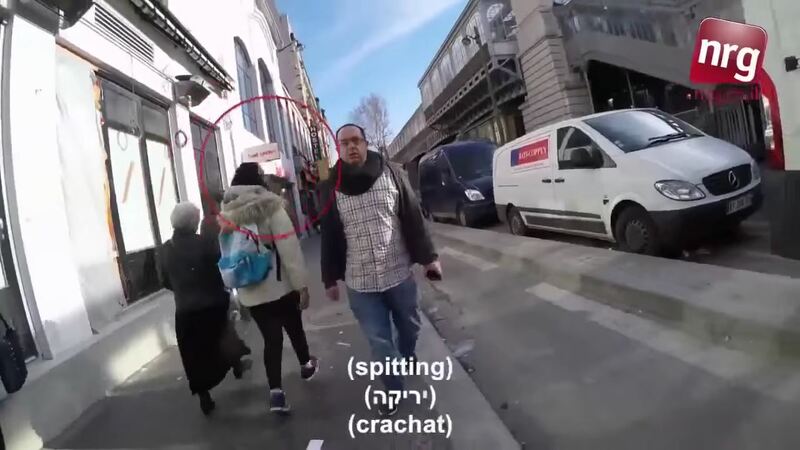 There was also Zvika Klein’s now infamous video, in which he filmed himself walking the streets of Paris in a kippah and tzitzit to a seemingly endless torrent of intimidation and abuse, the perversity reaching a climax when a young child asked his mother, “Doesn’t he know he’ll be killed?” Even children, it seems, have become aware of the fact that, in many places in Europe, it has been decided that some have earned the right to attack and even kill Jews. As was inevitable, moreover, the Pogrom has risen up against those who have denounced it. 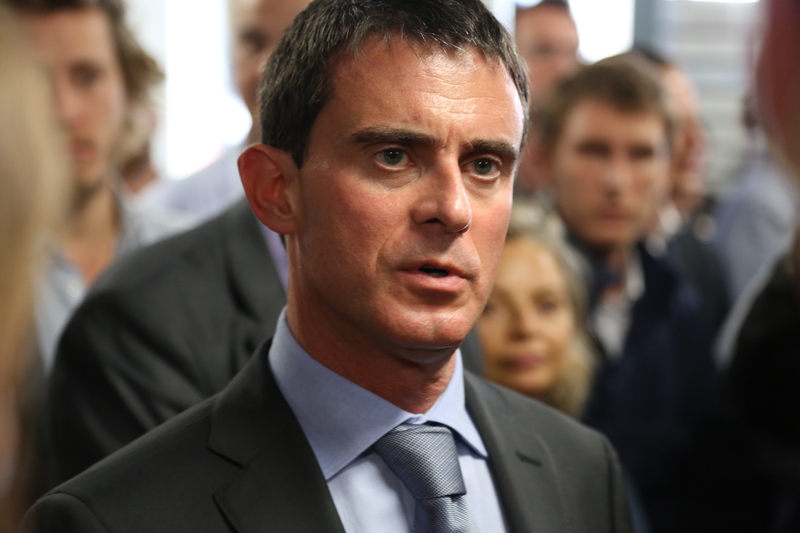 Most prominent among the targets was French Prime Minister Manuel Valls, who delivered a blistering denunciation of anti-Semitism after the Paris attacks, and has now been accused of being under the insidious control of his Jewish wife by none other than a former foreign minister of his own country. Some pointed out the decision of a large group of Muslims to form a “peace ring” around a synagogue in Norway as a ray of hope. There is no doubt that it was an admirable example of interfaith solidarity. But if the Jews of Norway can now only worship under Muslim protection, serious questions must be raised about the ability or the willingness of the responsible authorities to take effective action. Most disappointing of all, perhaps, was the most prominent example of Pogrom denial in years. In an interview with the website Vox, U.S. President Barack Obama made the no doubt well-meaning statement that the Paris kosher market attack was the act of “a bunch of violent, vicious zealots who … randomly shoot a bunch of folks in a deli in Paris.” Given that the now-dead attacker openly acknowledged his anti-Semitic motivations, had cased other Jewish sites before the attack, and had asked at least one shopper if he was Jewish before shooting him after learning he was, the criticism that came the president’s way cannot be viewed as anything other than fair. Even more depressing, however, was the fact that his statement was defended by several other administration officials, including the White House press secretary, who doubled down by saying the Jews at the Hyper Cacher market were targeted “because of where they randomly happened to be.” The fact that Obama likely had the best of intentions when he made his statement makes it all the more disheartening, as it proves that Pogrom denial need not be malicious or even conscious in order to be extremely counterproductive. In the face of all of this, it is easy enough to simply throw up one’s hands in despair. The Global Pogrom, it seems, is unstoppable. No atrocity it commits will force the relevant authorities to acknowledge the threat, or convince those who could arrest its spread to act. There will be no justice for its victims, and no justice done upon its perpetrators. The Jews of Europe and wherever else the Pogrom has spread will flee, probably to Israel, and that will be the end of it. But this is not the case. The Global Pogrom is not unstoppable. It is, in fact, extremely vulnerable. It has not been stopped because no one has seriously tried to stop it. It operates with impunity because it has been granted impunity, and that impunity can be taken away. If action is taken, and taken now, the Global Pogrom can be stopped, and it can be defeated. There is no doubt that a Global Pogrom requires a global response. And, first and foremost, that must be a global Jewish response. But this has yet to be forthcoming. In particular, the U.S. and Israel, one with a large and politically active Jewish community, the other a militarily-empowered Jewish state, have proven disappointingly inactive on the issue. American Jewish organizations register protests, but have yet to undertake an organized campaign. Israel tends to urge aliyah, which, while admirable in and of itself, cannot solve the immediate problem. Put simply, Israel and the American Jewish community are the natural leaders of the struggle against a Global Pogrom, but they have yet to find a way to lead. The reasons for this are fairly simple: For both American and Israeli Jews, the idea of a Global Pogrom is difficult to comprehend. American Jews have achieved unprecedented success and acceptance in the United States. It is all but inconceivable to them not only that a mass anti-Semitic movement might exist, but that the authorities would do next to nothing about it. To American Jews, anti-Semitism is not a mob of thugs attacking a synagogue or trashing a Jewish neighborhood, but a lone band of skinheads or members of a tiny Right-wing militia; and they have a justified confidence that the authorities will act to contain such domestic extremists. 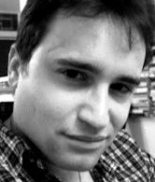 As a result, a situation in which anti-Semitism is not simply the domain of kooks and rednecks, but a mass movement that has seized the imagination of millions across Europe, is very difficult for American Jews to grasp; let alone the possibility that authorities might act not with swift justice, but with indifference, idleness, denial, and even apologetics for the attackers. In Israel, the problem is even simpler: Israeli Jews live in a country where they are a comfortable majority. They do not simply trust the state; they are the state. In effect, they live in a country in which the state cannot be anti-Semitic. As a result, for most Israelis—especially native-born sabras—the idea of a state that is simply unconcerned with anti-Semitism and its victims is so far beyond the realm of their personal experience as to be almost impossible to imagine. And, ironically, the possibility of aliyah has exacerbated the problem. After all, Israelis can say, if it’s so bad over there, why don’t they just come here? In an irony even more tragic, these two communities are also hampered by the memory of the Holocaust. There is no doubt that, in comparison to the Shoah, the current wave of anti-Semitism pales in comparison. But since all such outbreaks are inevitably, if usually unconsciously, compared to the Holocaust, it is difficult for both American Jews and Israelis to see the Pogrom as serious enough to arouse apprehension and action. And it is true: The Global Pogrom, thankfully, is not the Holocaust. Very, very far from it. But this does not make it in any way acceptable. Nor is it an excuse for allowing it to continue unchecked. The words “Never Again” do not only refer to the Holocaust, but to all forms of anti-Semitism and anti-Semitic violence, especially those that are officially condoned or officially denied. If that “Never Again” can be revived, however, in regard to the thankfully smaller but nonetheless horrifying phenomenon we currently face, then there is no doubt that Israel and American Jewry can rise to the occasion, as they did in the case of the Soviet Jews four decades ago. And as they were then, they can be victorious. The most important thing for Israelis, American Jews, and indeed everyone to understand about the Global Pogrom is that the myth of its invincibility is just that. In fact, the Pogrom is strikingly vulnerable. Practically everything it does, from hate speech to physical violence to murder, is patently illegal. Many of these crimes also leave pogromists and their supporters open to civil penalties, such as the favorite pogromist tactic of destroying property. And, of course, the Pogrom violates the civil rights of citizens living in countries where civil rights are ostensibly sacrosanct. Indeed, to a striking extent, the Pogrom is most vulnerable to the weapon the relevant authorities are most frightened to use—namely, the enforcement of their own laws. Even more important, perhaps, is the fact that—contrary to its portrayal in much of the media—pogroms are not the work of “random” individuals. Even the three perpetrators of the Charlie Hebdo and Hyper Cacher attacks were members of a carefully organized terror cell tangentially connected to al-Qaeda. But in the case of larger-scale attacks, some very prominent and very vulnerable groups are involved. The mob that attacked and almost breached the gates of the Synagogue de la Roquette in Paris last summer, for example, did not emerge from a vacuum. It broke off from a much larger anti-Israel demonstration nearby. Such demonstrations do not happen spontaneously. They require money, organization, and equipment that only specific groups can provide. Without them, the Pogrom could not exist. In the case of the Paris pogrom, the demonstration was organized by a motley crew of Muslim and far-Left groups united around hatred of Israel. A similar situation took place in Britain. Demonstrations in Berlin that included genocidal rhetoric from various speakers also included attendees from far-Right and neo-Nazi organizations. Since even those demonstrations that did not descend into violence were marked by hate speech and incitement to violence, both of which are completely illegal in most European countries, all of the organizations involved in these incidents are exposed to civil and criminal penalties. There is also the question of civil and religious leaders who engage in incitement to violence. Radical imams across Europe, for example, have been filmed and recorded giving sermons and speeches of the most vicious kind, quoting anti-Jewish sections of the Quran and demanding holy war against Israel and the Jews in general. Such sentiments are sometimes echoed by other public figures, few of whom face legal or civil consequences for their hate speech. 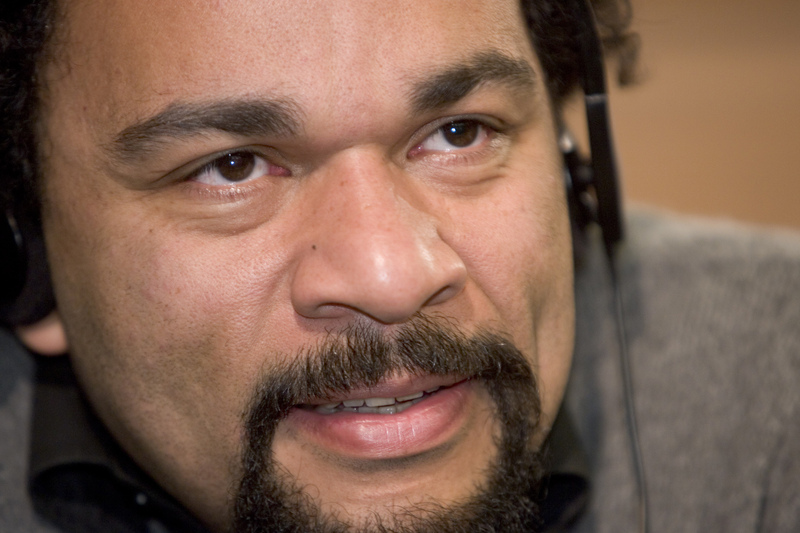 But as the case of Dieudonné—an anti-Semitic French comedian just arrested for expressing solidarity with the Hyper Cacher terrorist—proves, the consistent enforcement of hate speech laws can be very effective. In North America, where the Pogrom has struck in places like Boston, New York, and Calgary, the violence has been much less ferocious, but is clearly getting worse. There, the focal point is mostly college campuses. Perhaps because anti-Israel sentiment is widespread in institutions of higher education, perhaps because college administrations act, in a sense, as autonomous states-within-a-state, the European pattern is beginning to assert itself. Anti-Israel groups like Students for Justice in Palestine, for example, have openly used hate speech, incitement, and at times outright physical violence to intimidate Jewish and non-Jewish opponents. For the most part, the administrations in charge have reacted with little if any action, preferring—like the governments of Europe—to either pretend it isn’t happening or blame it on the Jews themselves. Yet the conduct of groups like SJP is both patently illegal and in obvious violation of the speech codes that institutions of higher education enforce with great ferocity when other minority groups are involved. Were these laws and other codes of conduct enforced consistently, were those who participate in mob violence against Jews arrested and criminally charged, were radical imams and anti-Semitic public figures consistently charged with racist incitement, were campus hate groups penalized or banned, and were groups that sponsor demonstrations at which hate speech and incitement lead to open violence held civilly and criminally liable for the damage they cause, the Global Pogrom would find itself seriously impeded and, ultimately, unable to function. But it is now clear that none of this will happen without pressure. European governments, for the most part, either do not want or are too cowardly to enforce their own laws; and colleges and universities appear to feel the same way. It seems that the world will not act against the Pogrom unless it is forced to. And the only way to force it is to set the price of inaction higher than that of action. And this pressure must come, first and foremost, from the global Jewish community; in particular, from American Jewry and Israel. To steal a line from Rabbi Hillel: If we are not for ourselves, who will be for us? Contrary to the anti-Semitic stereotypes embraced by the global pogromists, the Jews do not rule the world, as the inability of the European Jews to garner more protection from their governments has amply demonstrated. But American Jewry and Israel have some cards they can play. The model for such efforts is, as mentioned above, the struggle to free the Soviet Jews. With Israel acting as a destination for aliyah and a diplomatic player on the world stage, and American Jews engaging in a campaign of legal and political activism, as well as civil disobedience, the campaign on behalf of the Soviet Jews was ultimately successful. There is no reason to think that the same kind of campaign cannot be successful in arresting and defeating the Global Pogrom. The first and most important aspect of this is awareness. Israel and American Jewry must learn to think beyond the safety of their own societies and understand the sense of vulnerability and powerlessness felt by their brothers and sisters in Europe and elsewhere. The second is to use this awareness to foster solidarity and organization. The Jewish community is not yet global, but it can become so. To my knowledge, there are, as yet, no organizations, ad hoc or otherwise, dedicated solely to fighting the Global Pogrom. The existence of one, hopefully with representatives from all Jewish communities around the world, and funded mainly by American Jews and the Israeli government, is an essential first step. Moreover, we have other models that demonstrate the success of specific tactics. The recent multi-million dollar judgment against the Palestinian Authority for engagement in terrorism is an excellent example. Organizations like Shurat HaDin, which pursued the case against the PA, and the Southern Poverty Law Center, which has successfully litigated against American white supremacist groups, have shown that victims of racist violence can financially damage the individuals and organizations behind this violence, and sometimes drive them into bankruptcy and outright collapse. Political advocacy can be equally effective. There is no doubt that the European Jews lack an advocate, and a global anti-Pogrom organization backed by Israel and American Jewry can fill this vacuum. Indeed, properly undertaken, it could immensely aid in such causes as disabusing the U.S. administration of its unfortunate misconceptions in regard to the Pogrom, puncturing Europe’s sense of moral superiority on the subject, and pressuring governments and institutions to consistently enforce the laws and regulations that would cripple the Pogrom’s ability to commit violence and incitement. In the media and cultural realm, advocacy against the Pogrom and its accomplices should concentrate on urging the press to give more coverage to the problem, and to expose and ostracize pogromists, as well as their defenders and apologists. Advocacy can also go a long way toward seizing the moral high ground and shifting perceptions, demanding that things be called what they are: This wave of anti-Semitism is not a series of isolated incidents; authorities are not doing enough to stop it; the Arab-Israeli conflict is neither relevant to nor an excuse for those who engage in racist violence; campus organizations that use intimidation and incitement against their opponents are hate groups; anti-Israel demonstrations that devolve into anti-Jewish hate speech and violence are not demonstrations but pogroms; the phenomenon of mass emigration is not an exodus but an expulsion; and the world is morally culpable for its inaction. In addition, an effort must be made to understand that the struggle against the Pogrom is not just a Jewish struggle. 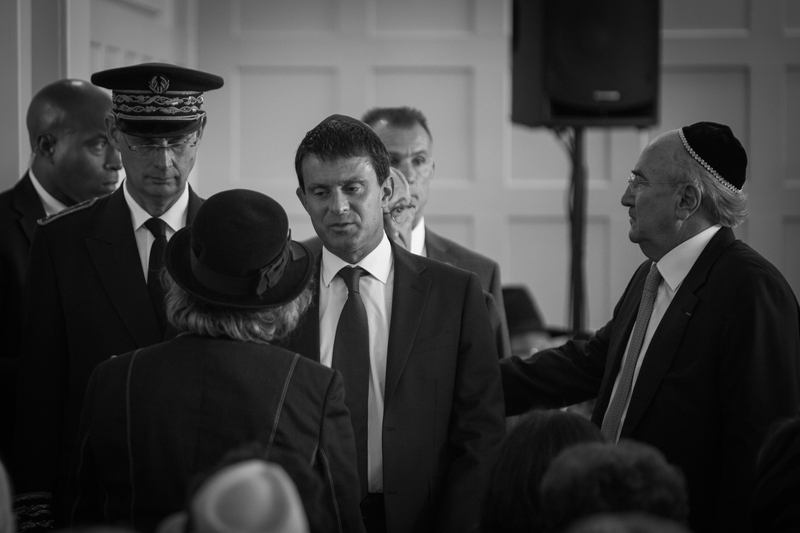 Although it is sometimes hard to find them, the Jews do have allies, such as the aforementioned Manuel Valls. It is necessary, even imperative, to include them as part of any anti-Pogrom organization. The Jews have some power, but if only by sheer numbers, non-Jews have much more. The Jews often have few friends, and should never turn away from those willing to make a stand against anti-Semitism and the Global Pogrom to which it has given birth. All of this may seem a daunting task, and it is; but there is no doubt that it is a battle that can be won. And it can be won because, besides savagery, the most prominent quality of the Pogrom is cowardice. It only attacks soft targets, and usually when the pogromists’ overwhelming numbers grant them a sense of safety and impunity. The Global Pogrom is the work of cowards, and cowards can be deterred. But none of this will happen unless action is taken, and it must first be taken by the global Jewish community and its allies. And it must be taken now. Because one thing has become eminently clear: We can’t wait. First, there is the simple fact that the Pogrom has already claimed too many victims. It has steadily escalated from individual acts of violence, such as the murder of Ilan Halimi and the Toulouse massacre, to full-scale mob attacks against Jews and Jewish sites. And like most diseases, if left untreated, it will get worse. As journalist Ben Cohen has noted, the Pogrom has already become a mass movement, and if it is not stopped, it could well result in mayhem and murder on a much larger scale. Again, it is not the Holocaust; but the casualty rate is already unacceptable, and there is no reason to think it will not rise precipitously if action is not taken. Second, the Jews of Europe and countries such as Turkey are facing what can only be described as a de facto expulsion. Life for them is becoming impossible, and they are acting accordingly. Aliyah rates are already skyrocketing; and many European Jews are seriously considering other options, such as the UK or the United States. This is, of course, an understandable response, and one to which the Jews have unfortunately adapted over the course of centuries. But we should not turn away from what it is: Whether by indifference or design, the expulsion of a people is a crime against humanity. And all people have a moral obligation to prevent such things by whatever means necessary to do so. And if these means are not employed, and employed soon, the wave of emigration may well become impossible to arrest. Five centuries after the expulsion from Spain and 70 years after the Holocaust, the world will, in effect, have consented to another, if less terrible, crime against humanity and the Jewish people. Third, there is no question that, should it continue to operate unchecked, the Pogrom will spread. Indeed, it has already done so. During the Gaza War, as noted above, attacks were reported in the U.S., Canada, Australia, Turkey, and other countries well beyond the borders of Europe. As also noted, college campuses in North America are quickly becoming incubators of the disease. The American and other non-European Jewish communities likely feel that their distance from the epicenter of the Pogrom will keep them safe, but this is very unlikely to be the case. Mass movements, anti-Semitic or otherwise, almost always become larger if they are not effectively checked; and large Jewish communities, including in the United States, will be far too tempting a target should the Pogrom reach critical mass outside Europe. Fourth, there is the consequence that thus far has dared not speak its name: In the face of official inaction, there are those in the European Jewish community who have decided that the Jews must be protected by any means necessary, and they are swiftly gaining popularity and power as a result. With anti-Jewish violence reaching unprecedented levels, and lacking any trust in the authorities, Jews are turning to their own extremists, including groups whose politics are dangerously radical. This should be a sobering thought for many. It takes a great deal to push the Jews to violence, but when it happens, we are often very good at it. In a terribly ironic twist, the French authorities may soon face a situation in which their Jews have become so radicalized that they will undertake not only exodus, but an armed struggle. And the first Diaspora revolt in 2,000 years, spearheaded by a Kahanist group, would be neither good for Europe nor good for the Jews. Finally, there is the simplest but most important question: The question of justice. The nations of Europe and the international community in general have for decades based their laws and their rhetoric on the idea that persecution on the basis of race or religion constitutes not only a legal but a moral injustice. Thus far, however, they have turned away from justice in regard to the global Jewish community. The victims and targets of the Global Pogrom deserve justice, a justice too long deferred. The struggle against the Pogrom is, in short, a moral struggle, a struggle for universal justice, and the world has an obligation to act accordingly. But if the struggle does not begin now, the situation may well reach the point at which justice is impossible. “In every generation,” reads the Haggadah, “they rise up to destroy us.” No amount of denial can change an indisputable fact: They have risen up again. And they must be stopped. We can’t wait. Neither can the world. It is time for this generation’s struggle for justice to begin.